Nurses, lab workers, orderlies and porters—as your staff works to save lives, who is looking out for them when they work alone? Crimes committed against healthcare workers are on the rise. Dangerous situations are prevalent across all verticals of this industry, and these employees who often work alone, never know what’s in store for them when they come face-to-face with patients. In 2011, the Occupational Health and Safety Administration (OSHA) in the United States reports hospitals recorded 253,700 work-related injuries and illnesses. OSHA also states between 2003 and 2011, fatalities averaged 24 per year. 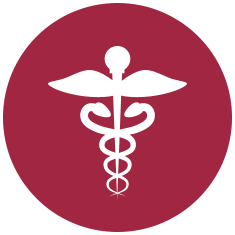 Additionally, for 2013, the Bureau of Labor Statistics (BLS) in the United States reported an increase of up to 100 healthcare and social assistance worker-related fatalities. Thousands of incidents occur annually that put Healthcare workers in danger—sometimes they are put on disability while some incidents may be fatal. Your team works against the clock in high-risk, high-stress scenarios in hospitals, clinics, research labs and other medical centers. From in-office administrators to paramedics on the road, medical professionals never know when they will encounter a dangerous situation. While safety procedures are already in place for your lone workers, are they the most efficient processes for when a safety incident occurs? 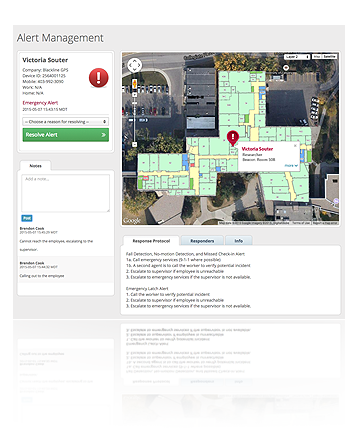 In Healthcare applications where Blackline’s technology is used, responders can be directed in real-time not only to a precise outdoor location, but the exact floor and room inside your hospital or medical center a lone worker is located if indoors. Blackline Safety’s next generation lone worker monitoring solution provides industry leading safety for healthcare personnel. With new features including 2-way voice calling, speaker phone capabilities and LiveResponse, this next generation lone worker safety monitoring device is available for general work locations with cellular coverage. 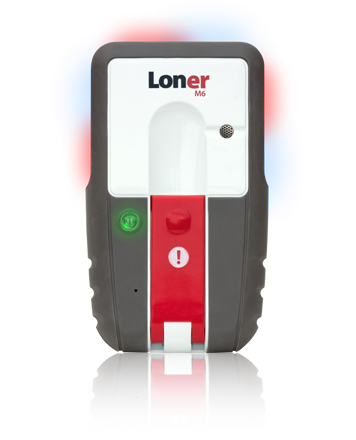 Loner M6 also includes True Fall Detection®, no-motion (person-down) detection, employee check-in, manually-triggered emergency latch and precise positioning. Many healthcare personnel are already smartphone users. 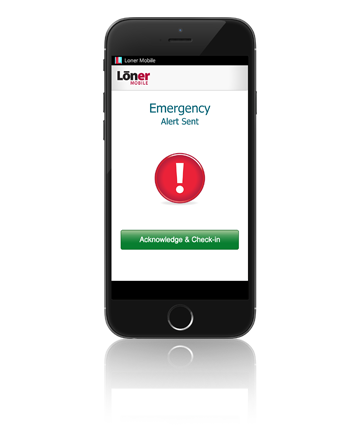 Loner Mobile is an app that turns a smartphone into a powerful safety monitoring solution. Loner Mobile leverages the communications and location technologies of smartphones to periodically confirms the employee’s well-being through a check-in process. Employee check-ins can include notes that describe activities if risk levels change throughout the day. Upon triggering a safety alert, a two-way voice call to monitoring personnel provides valuable context while a pinpoint emergency response is managed. Loner Mobile is compatible with [Loner Duo], a Bluetooth® accessory that enhances Loner Mobile with other valuable safety monitoring features. 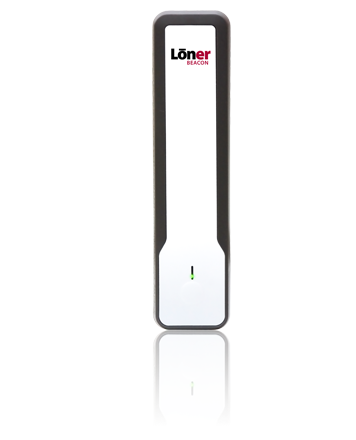 Blackline’s Loner Beacon is the most cost-effective and precise technology to locate employees wearing a compatible Loner device within healthcare environments. Loner Beacon provides seamless positioning indoors and nearby buildings with GPS when working outdoors.